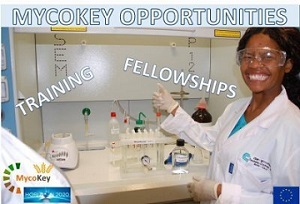 MycoKey Short Term Visits (STM) gives to young scientists and PhD students training opportunities on mycotoxins in high qualified Institutions. Public calls for the selection of 10 young researchers/scientists are launched through MycoKey website, dedicated newsletters and other jobs portal. The visits are divided into two periods: a first period hosted by research organizations and universities to investigate/study a specific topic, a second period hosted by industries, to apply research findings into industrial processes. MycoKey STM 3rd call: the call is forseen on spring 2018 STAY TUNED! !